Alaa AlZghoul is an information systems specialist at the ARIJ network, which he joined in 2015. He holds a bachelors’ degree in computer information systems from Philadelphia University. His career as a data researcher began at the network between the months of July and December of 2015, before becoming an IT technician until the end of 2017. AlZaghoul is now the leader of all network technical needs. With a focus on data driven journalism and information gathering, he has been able to explore how best to apply these practices to assist in digital security of the network. AlZghoul has trained hundreds of journalists in a multitude of Arab countries on digital security, teaching techniques on how it can be applied efficiently, while allowing journalists to be secure and remain anonymous. 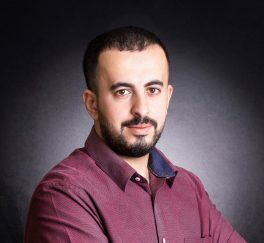 He also works to further the technological culture surrounding and between respective Arab journalists, as well as the promotion of the digital rights belonging to them.